I adore your fabrics and think simple squares would be perfect!! Cute!! I love that bird print and also the one directly under it that looks like some kind of fruit (?). 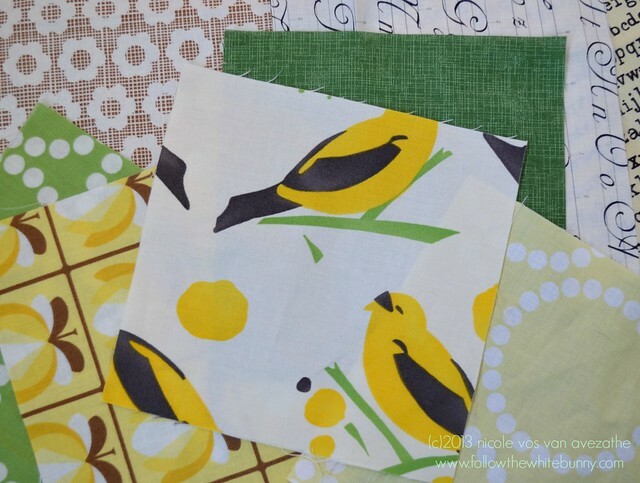 I've got a bit of that bird fabric ~ it's so lovely and your quilt sounds like it will be lovely too!